For Commercial Real Estate Executives it is critical to be able to hone in on assets that are performing below expected comparable and be able to hone in on the performance of different asset managers. 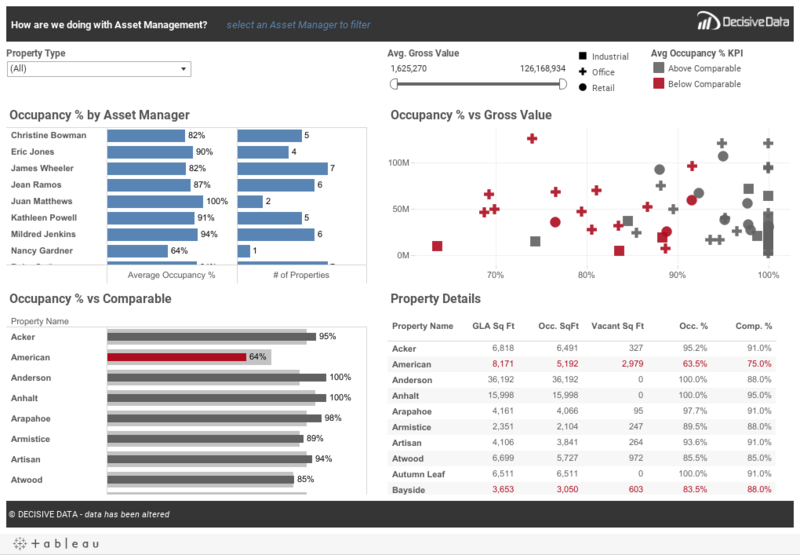 This dashboard helps remove the noise and quickly drive insight into which properties are requiring attention. It really drives home which properties and asset managers have occupancy issues relative to their market facilitating quick intervention and dramatically driving bottom line profits.